Kevin Spacey’s former House of Cards co-star Robin Wright says the actor should be given the chance to ‘‘reform’‘, following his sexual assault scandal. The allegations caused the star to be removed from Netflix drama House of Cards. “I don’t know how to comment on that, I really don’t. I believe every human being has the ability to reform. In that sense, second chances, or whatever you are going to call it — absolutely, I believe in that. It’s called growth,” Wright told Net-A-Porter. 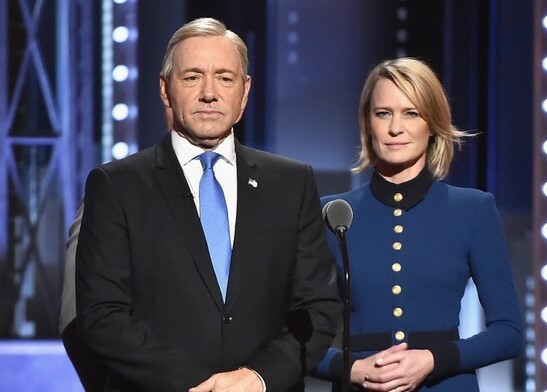 The 52-year-old actor, who will be leading the final and last season of House of Cards, said she does feel sorry for Spacey. “I feel sorry for anybody whose life is in the public arena. It’s a nightmare, can you imagine? We do a job, we share (a performance) with viewers. Why does our private life have to be public? I hate that part of this industry. I’m talking about media. The exposure. It’s an awful feeling,” she said. Wright, however, said she has not been in touch with Spacey since his exit from the series. “He’ll reach out when he’s ready, I’m sure. I think that’s the way it should go,” she said.